INSIDE LINE: Alan Wright shows Aaron Barr that experience is king when on the track. 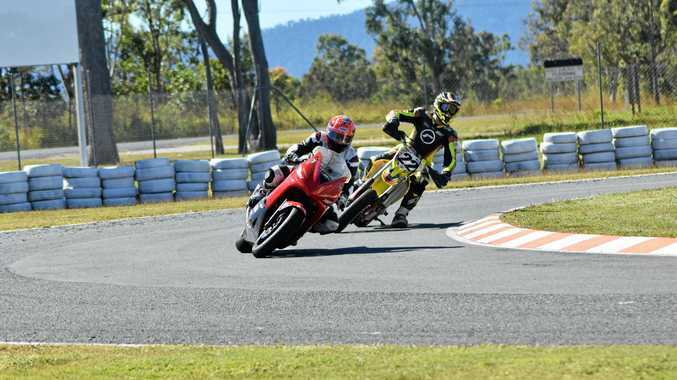 THE weekend offered a chance for local members of the Whitsunday Moto Sports Club to get some practice in ahead of the Supermoto of Champions V2.0 event in July. 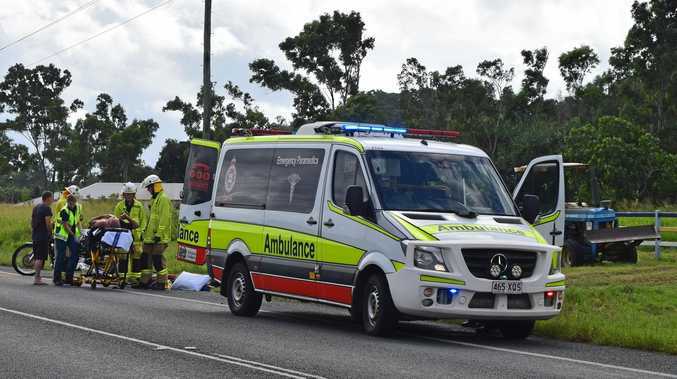 It may have taken a little longer for the sun to heat up the riders, but once they were suited up and engines running, things got hot very quickly at Whitsunday Raceway on Lacelles Ave on Sunday. 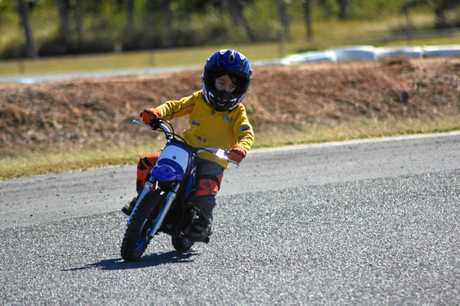 Cody Van Bergen tests out his new suspension at the track last Sunday. Local supermoto competitor Aaron Barr got a jump start on his rivals ahead of the upcoming supermoto event with a good session on tarmac and dirt track. Young Donny Algie, who enthralled spectators at the open day, made a return appearance to tear up the track again on his PW50. New road riders took their bikes to task and enjoyed the lack of distractions found on the road to hone their craft. 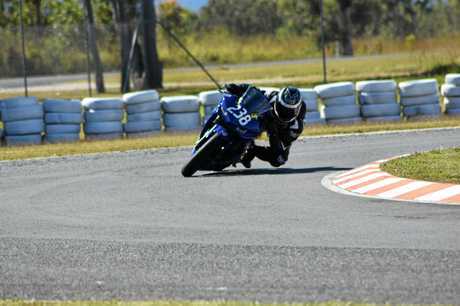 Donny Algie puts the rubber to the tarmac at practice. With the Supermoto of Champions V2.0 coming up on July 21-22, Aaron Barr got a jump start on his competitors with a good session on tarmac and dirt. This Sunday, June 10, sees another practice day so go out and see what's on offer.